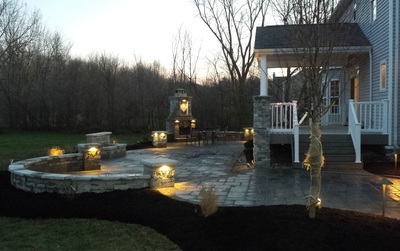 Columbus Paver Patio - A Columbus OHIO Landscape Contractor, can install an outdoor fireplace to complement a new design or retrofit to an existing patio. We can also build you a custom fireplace to any size / dimension you require. As Unilock Authorized Contractors in Columbus and with excellent masonry experience we have the skills and experience to complete any project. 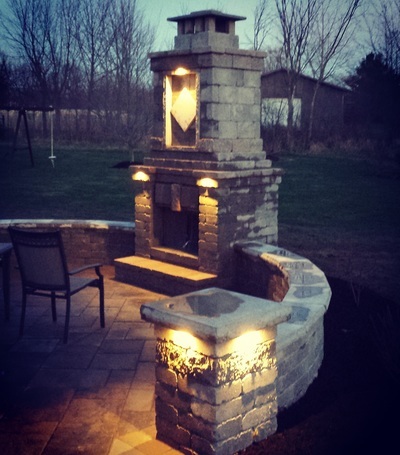 Call us now for your Outdoor Fireplace installation in Dublin Ohio, Powell Ohio or Columbus. Designing a new patio, or outdoor living space can complete a new or existing homes landscape. Because patios are typically designed using pavers or bricks--materials that are naturally fire retardant--this can be the ideal location for a fire pit or outdoor fireplace. 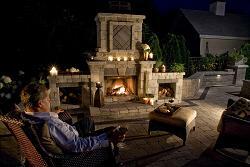 An outdoor fireplace can do many things for a patio design. 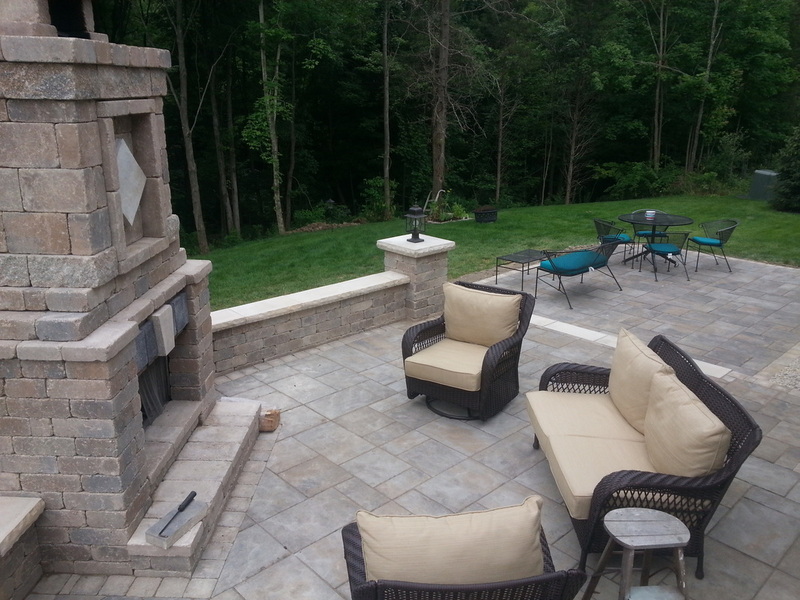 A customOutdoor Fireplace adds character and a great gathering spot! For one, it can increase its usefulness of the patio by extending the time the patio is used throughout the year.Transforming the space into an outdoor kitchen also has similar benefits. We can custom build your outdoor fireplace in Columbus with either a 36 or 42in opening. Material can be Unilock or any number of cultured stone. We use two excellent plumbers to run gas lines should you be interested in a gas log setup or a wood burning unit with a gas igniter. You can be using your new Unilock Fireplace in 2 or 3 days or if we build a custom Masonry or Unilock Fireplace in a week! For a custom paver design and installation or Outdoor Fireplace in Columbus Ohio or a new paver patio or redesign feel free to contact us!